Writing Women’s Lives – Monica L. Mercado, Ph.D. 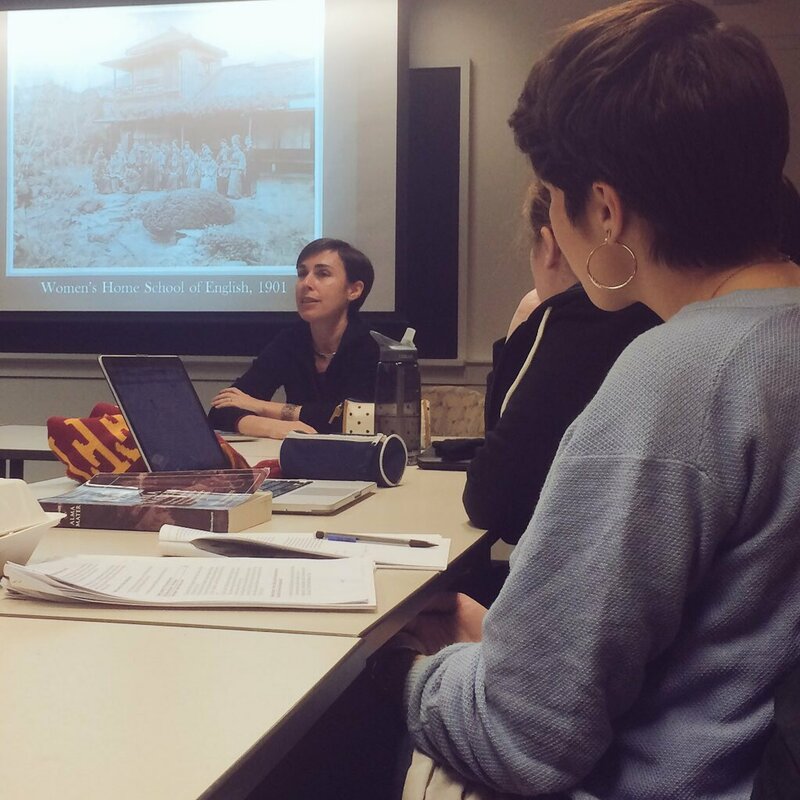 In January, my public history class welcomed to campus Janice Nimura, author of Daughters of the Samurai: A Journey from East to West and Back (2015, now in paperback!) — the rare mass-market biography that takes seriously, and as its subject, the lived experience of young women. I always like the moment in my talks when I show a photo of the Vassar class of 1882, a gaggle of young bluestockings with one Japanese face in the middle: Sutematsu Yamakawa, the eldest of my three subjects, elected class president in her sophomore year! There’s always a gratifying murmur from the audience as I drive the point home: that’s how talented she was, how intellectually dazzling, how extraordinary in transcending her otherness. But one afternoon my audience was a room full of Bryn Mawr students, and one of them raised her hand. Wasn’t it possible, she asked, that Sutematsu’s classmates had elevated her because of her differences, rather than in spite of them? Didn’t they think of her as a sort of samurai princess, and wouldn’t they have found it gratifying to show her off?